At the Law Office of John J Carangelo LLC, the legal needs of the client come first. Providing personalized, attentive service in Connecticut for two decades, the practice is known for its sterling litigation record and a dedication to effective, affordable legal counsel across many areas of the law. John is a Connecticut native and prides himself on the strong relationships he has formed with clients over the years, continuing to build on the Carangelo family tradition of practicing law in Connecticut first established over 50 years ago. Administering the estate of a recently deceased loved one should not be overlooked, even during times of tragedy. With the help of the Law Offices of John J. Carangelo LLC, the probate process can be concluded in an efficient, straightforward manner with the utmost care and attention to legal detail. Regardless of the complexity of the estate, our team guides clients through the stages of probate, avoiding the legal pitfalls that delay the distribution of assets. For a free initial consultation, please call 203-397-1808 for the Orange practice and 203-878-5600 for our Milford office. When a fatal injury occurs, you want a lawyer with experience, determination, and compassion to see you through the emotional and economic hardships. The Law Offices of John J. Carangelo LLCÂ understand that responding to tragic events goes beyond monetary retribution and will work closely with your family to set a strategic legal plan that facilitates the healing process after the loss of a loved one. For a free initial consultation, please call 203-397-1808 for the Orange practice or 203-878-5600 for the Milford location. Knowing where to turn to for advice after a catastrophic injury is a daunting challenge. Who can you trust? Who has your best interest in mind? Who has the experience to guide you through the difficult times? You'll find the ally you need at the Law Offices of John J. Carangelo LLC, where personal, compassionate service is paired with decades of legal experience to ensure that your family is taken care of when a tragedy occurs. For a free initial consultation, please call 203-397-1808 for the Orange practice or 203-878-5600 for the Milford location. Protecting the personal and property rights of individuals and families for nearly twenty years, the Law Offices of John J. Carangelo LLCÂ combine strategic counsel and keen legal acumen when advising clients on how to pursue or defend against civil litigation. We work closely with all our clients, never losing sight of their goals, to find a cost-effective solution that produces the most amendable resolution to your legal concerns. Please call 203-397-1808 or 203-878-5600 to schedule a free initial consultation at our Orange or Milford offices. Buying a home is stressful enough without having to worry about legal representation. But, to best protect your interests, it's important to have an experienced, trustworthy attorney on hand to guarantee that documents are properly drafted and all the details of the transaction are completed with your legal interests in mind. At the Law Offices of John J. Carangelo LLC, we've been helping clients close on residential real estate purchases headache-free for 20 years. Call 203-397-1808 or 203-878-5600 to schedule your free initial consultation. Injuries on the job have wide-ranging consequences outside of the workplace. Knowing what you are entitled to, how to file a claim, and how to respond to a denied claim is just the start. At the Law Offices of John J. Carangelo LLC, we make sure our clients receive the proper financial support throughout the rehabilitation process by doggedly fighting for what is right. Start the road to physical and financial recovery by scheduling a free consultation. Call 203-397-1808 for the Orange office or 203-878-5600 to reach the Milford practice. It is never too early to start planning how to disperse your estate. At the Law Offices of John J. Carangelo LLC, we form strong relationships with our clients by providing sound, strategic advice during the various stages of estate planning, including will formulation, trust creation, protection of assets, business succession, and tax counseling. By spending the time to truly understand the needs of the client, we tailor custom legal approaches to fit each family's unique situation. For a free initial consultation, please call 203-397-1808 (Orange) or 203-878-5600 (Milford). The dissolution of a marriage presents a number of complex situations that can be overwhelming at times. It is vital that you have experienced legal representation to help navigate through the uncertainty and toward an equitable resolution. At the Law Offices of John J. Carangelo LLC, we bring trustworthy counsel and compassion to each divorce case, regardless of the circumstances that lead to the separation. The practice offers comprehensive legal counsel for all divorce related matters including alimony, child custody, and distribution of assets. Call 203-397-1808 or 203-878-5600 to schedule your free initial consultation. When facing criminal chargers, whether misdemeanor or felony, you need expert legal representation willing to aggressively defend your case against prosecution. The Law Offices of John J. Carangelo LLCÂ take pride in its ability to protect the rights of its clients while building a solid defense case. We offer the type of personalized service that cannot be found at larger firms, without sacrificing legal knowledge or resources. Call 203-397-1808 or 203-878-5600 to schedule your free initial strategic consultation, the first step in formulating the best approach to managing the charges against you. Business owners and entrepreneurs face difficult challenges as their ventures expand; worrying about the legality of contracts and binding documents should not be one of them. The Law Offices of John J. Carangelo LLCÂ understand the rigors of growing a business and work with many local Connecticut commercial entities to handle a wide range of legal needs, from the execution of contracts for goods and services to the leasing or purchasing of new properties. Schedule a free initial consultation by calling our Orange office at 203-397-1808 or our Milford practice at 203-878-5600. Resolving familial legal matters requires sensitive handling throughout numerous complex situations. You want legal guidance known for its personalized service and thoughtful understanding of your needs. Through a period of much personal turmoil, the Law Offices of John J. Carangelo LLC can be counted on to put your best interests first in all areas of family law. The practice has nearly 20 years experience working with clients on adoption, divorce, paternity, custody, and child support cases, as well as pre and postnuptial agreements. Please call our OrangeÂ or Milford offices at 203-397-1808 or 203-878-5600 to schedule your free initial consultation. The corporate client relationships formed by the Law Offices of John J. Carangelo LLCÂ originate from the knowledge that understanding the business we represent and its objectives is paramount to providing the best legal counsel. We forge strong bonds with clients because we recognize their needs and always work toward achieving the best outcome. Our practice manages cases across a broad spectrum of corporate law, including: shareholder agreements, class action, franchising, trademarking, and licensing. For a free initial consultation, please contact our Orange (203-397-1808) or Milford (203-878-5600) offices. 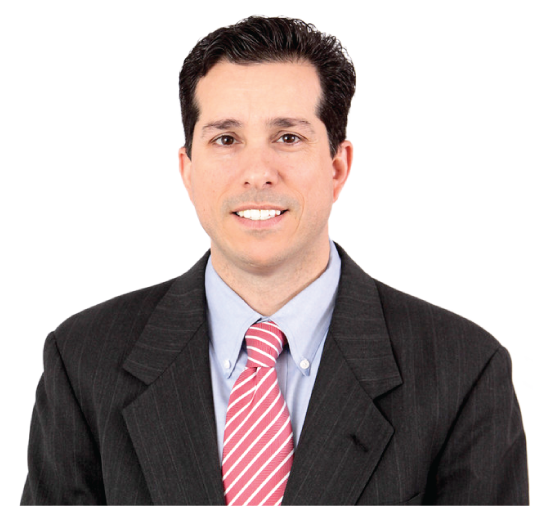 Attorney John Carangelo is a graduate of the Hopkins School, Syracuse University (BA, 1990) and Quinnipiac College School of Law (J.D., 1993). He is the former Judge of Probate for the District of Orange who served his residents for twelve years. In addition, to his judicial experience John is a practicing attorney with over eighteen years of legal experience, with emphasis in the areas of Probate, Estate Planning, Real Estate, Personal Injury, Workers Compensation, and Criminal defense. He has offices in Milford and in Orange. John is licensed to practice in the State of Connecticut and is a member of American, Connecticut, and New Haven Bar Associations. He also is a member of the Connecticut Trial Lawyers Association. The content of this website is for general information purposes only. It is not, nor is intended to be, legal advice. Contacting the law offices of John J. Carangelo does not establish an attorney-client relationship. Please do not send us any confidential information until an attorney-client relationship has been founded.